We’re making a debut at the Homebuilding and Renovating Show at Birminghams NEC from 28-31st March and will be exhibiting our extensive brick slip product range. This years event is expected to attract over 60,000 consumer and trade visitors, offering a great opportunity for our team to promote our brand. Situated on Stand G107, we will have our best experts available on hand to discuss any questions or requirements. We will be on hand to highlight the benefits of our products and services. Posted on September 18, 2018 | by Dan Cunningham | Leave a Comment on Introducing Fire Glaze! 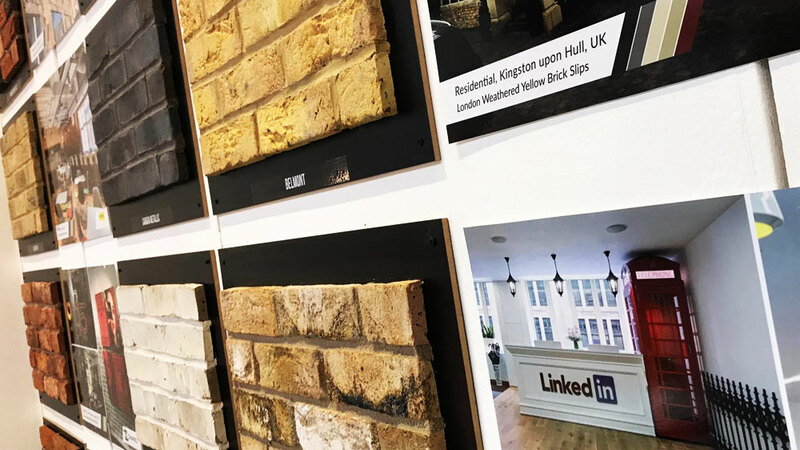 This year Brickslips will be showcasing on stand B482 at Grand Designs Live ExCeL London, from 5th – 13th May 2018. Our brick slip trade customers are at the heart of our business.